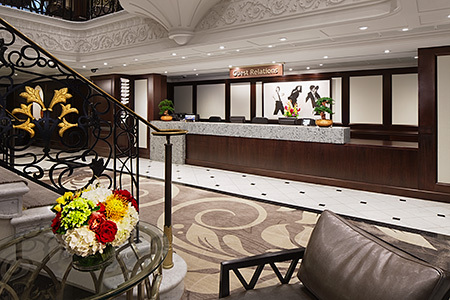 Deck 4 is the embarkation deck. On this deck is the Guest Relations, Concierge, Medical Facility, Interior and Ocean View staterooms. 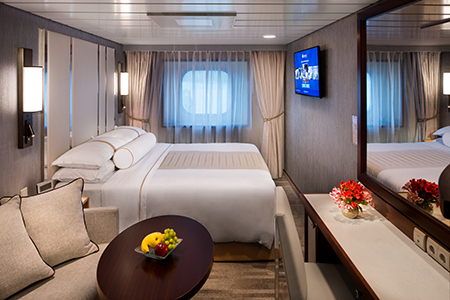 The Club Ocean View Staterooms feature two lower beds convertible to queen size, flat-screen television, some with sofa bed, refrigerator with mini-bar, and many other fine amenities. 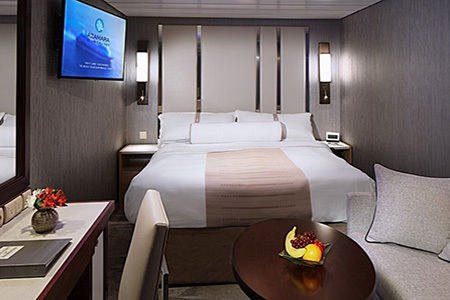 The Club Interior Staterooms feature two lower beds convertible to queen size, flat-screen television, refrigerator with mini-bar, and other fine stateroom amenities.